Does a Clean House Reduce Allergies? AAAAAAAACCCHHHHHOOOOOO! Is what a lot of us usually do during certain times of the year. 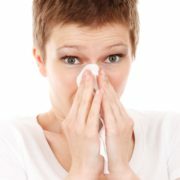 The main cause of allergies is obviously hay fever, however, there are other substances that can cause allergies, such as dust and certain foods. Did you know that keeping your house clean can help reduce allergies in the home and make you feel a lot more comfortable? Can cleaning your carpet keep certain allergies at bay? Carpets are actually quite magical things and I don’t mean flying carpets, but something quite different. These magical things below our feet actually act as filters and help trap particles from the air that may cause allergies. Get your headphones on, put on your housework playlist and hoover at least once a week. This can remove a lot of allergens, including dust mite faeces and other substances that may cause allergies. However, this will not get rid of all of the allergens and getting a professional carpet cleaner in will reduce these annoying allergens down to practically zero. What about allergies on upholstery? Keeping your upholstery clean is just as important as keeping your carpet allergen-free as well. All you need to do is regularly hoover all of your upholstery, making sure you get into every nook and cranny. Ensure you are cleaning the actual sofa and/or chair and not just the cushions as well. Another quick tip is to take off your cushion covers and hoover the actual cushion itself, as dust and other substances can also build up here. Again, to make the sure everything is perfect, get a carpet and upholstery cleaner in to finish the job. What can I do to keep my carpets and upholstery cleaner? Well after reading those last paragraphs I’m sure you’re thinking about getting a carpet cleaner from ServiceMaster Clean in to reduce the indoor allergens and keep your carpets and upholstery looking brand new. Vacuum at least once a week– As I said previously make sure you have your music sorted before you start hoovering and dance around the room. Try and use a vacuum with a HEPA filter and one with a powerhead, this will pick up more dust particles and other substances than regular vacuums. Keeping your animals clean – I don’t mean your kids in this instance, I mean your pets. Our beloved pets can easily bring allergens into your home from outside and regularly brushing them will reduce the amount being brought in. Use a house mat – No not Matt, although he may be useful for some things, reducing allergens is not one of them. House mats are a good way of collecting allergens and keeping the air clearer, although make sure these are regularly cleaned also. You know what you need to do now is get on the phone to your local ServiceMaster Clean UK office or head to our website and book yourself a professional carpet and upholstery clean. Find your nearest ServiceMaster Clean business here. https://www.servicemasterclean.co.uk/wp-content/uploads/2018/09/cold-cover-handkerchief-41284-e1537277975948.jpg 600 400 Tim Marshall https://www.servicemasterclean.co.uk/wp-content/uploads/2014/11/servicemaster_clean_logo_out_of_yellow.png Tim Marshall2018-09-18 14:35:342018-09-20 10:19:53Does a Clean House Reduce Allergies?